Two people can face the same type of adversity and have two vastly different reactions, even when they have the same background and worldview. What makes the difference when one person responds with joy and the other responds with bitterness? Perspective--the way they think about things. Right thinking matters and, thankfully, it's something we can all learn to employ. In this insightful unpacking of Philippians 4:8, pastor Jamie Rasmussen shows readers how to focus their thoughts and attention on the things in life that God has declared will make a meaningful impact on both a person's outlook and experience. It's the kind of thinking that has the power to change us, pointing us away from self-pity, anger, and resentment and toward contentment and personal peace, which helps us get the most out of life. 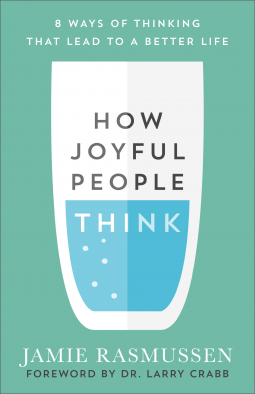 Anyone who yearns to live a life characterized by joy no matter what the circumstance will benefit from this thoughtful, practical, and inspiring book.